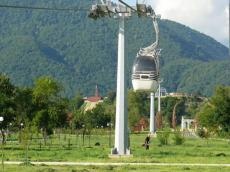 Balakan region, also called the green gate of Azerbaijan, was chosen the country’s Youth Capital of 2017. Every year since 2012 the Youth and Sports Ministry announces one of the regions or cities of the country, as "Youth capital” of Azerbaijan. "Youth Capital" is selected through Internet voting. Following the week-long voting held in late January, Balakan region took a leading position among 24 regions and cities, gaining 37.4 percent of the vote. "Youth Capital" is selected for one year term. During this period, the selected city (region) ensures active participation of youth in social, political, social, economic and cultural life of the country, support the enhancement of its intellectual and creative potential and implementation of new ideas and projects. Balakan attracts attention of local and foreign tourists with its favorable climate, rich flora and fauna, green forests, waterfalls and other features. The region also has ancient historical monuments, while enjoy modern tourist infrastructure. Moreover, the Albanian church of the 9th-10th centuries is located in Balakan, as well as Peri castle, located in the village Gullar related to the 12th-13th centuries. The region has preserved the mosque dated to the 17th-19th centuries with a high minaret. There is also a museum, which stores the products of traditional crafts in the region and exhibits archaeological findings. Rural tourism and agrotourism is spreading throughout the whole region, especially horse breeding.